HVAC Ducts – Are they Adequately Insulated? Studies show the average HVAC duct systems can lose 25% to 40% of heating/cooling energy due to poor seals, loose joints and bad connections. 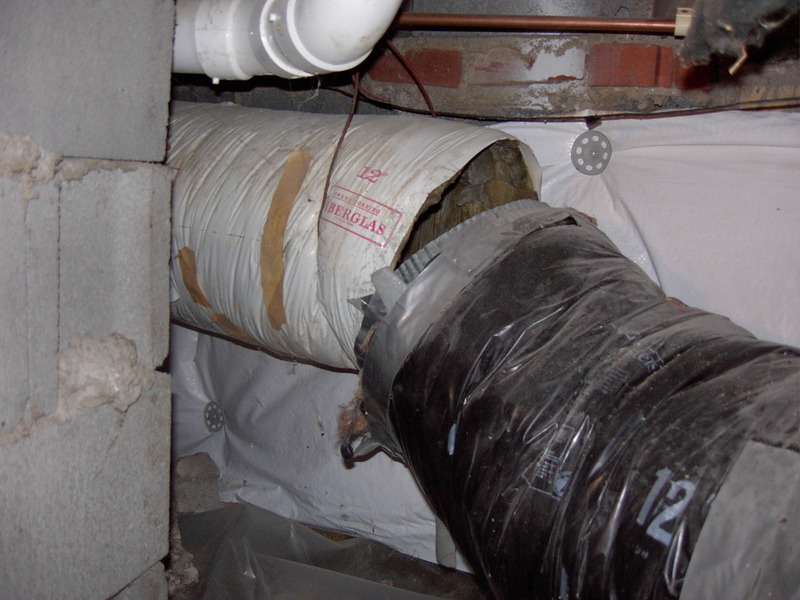 If your house was built before 1980 and you have never seriously looked at your HVAC ducting, it’s about time. By this time you probably replaced the outdoors compressor and maybe the indoors unit but probably did not address the condition of the ducts. This item is easily one of the most overlooked items in the HVAC system. A SEER 19 rated AC compressor can be easily de-rated to a SEER 11 due to a poorly insulated/sealed duct systems. Inspection is easy, resolution may be more difficult. When energy was cheap, efficiency was not a big deal. Duct work was ruffed in with a few screws to hold it together a bit of insulation and that was about it. Today we look for a duct system that is fully sealed, an R rating of 8 or 9, and registers and returns that are well sealed in the ceiling with insulation as well. No insulation on the ducts. This is an obvious one, if you find no insulation on your HVAC ducts, your electric bill probably looks like the national debt. 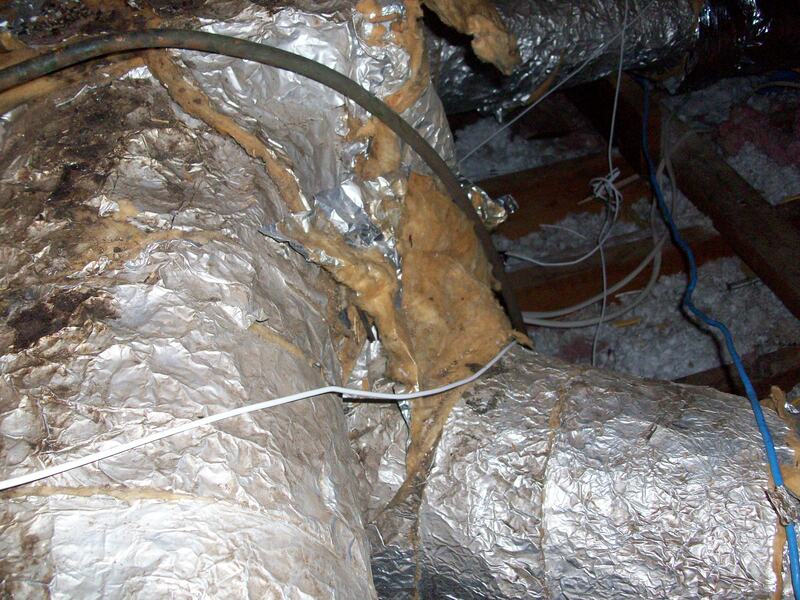 Both supply and return pipes need to be properly insulated. But to start with all joints need to be properly sealed with duct mastic (look for more about sealing in future post). Open ducts or separated joints. 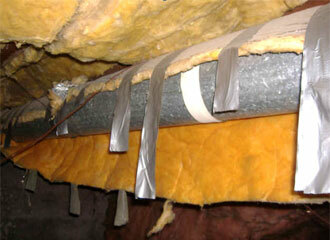 Repairing a duct failure of this degree will make an instant impact on the performance of your HVAC system. This is very common when you have had numerous technicians of various trades in the attic. The homeowner is the last to know. Attempts to seal with duct tape or gaps between the insulation sheets with intermittent exposure of sheet metal.Probably the most common. 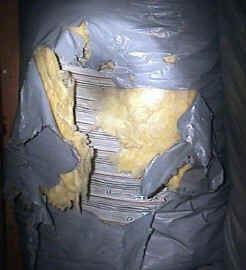 Contrary to the name duct tape is not to be used with HVAC ducts. Duct tape cannot hold up to the stress of this environment. Look for tapes and mastics specifically designed for HVAC applications. Either the internet or HVAC supply house is your best bet. Look for air leaks.Measure the ambient temperature of the attic with a digital thermometer. With the system running, use the thermometer to identify leaks around joints, seals, transitions and registers. 8 to 10 degree’s in difference is enough to be concerned about. Is your system a candidate for re-insulation? Does your system work reasonably well? Does the system properly cool the house but appear to run more than necessary? If you answered yes and want to go to the next step, look for my next article on Re-Insulating HVAC Ducts as we will look at contractor solutions as well as DIY methods and options. You are currently browsing the Homeownerbob's Blog blog archives for October, 2009.